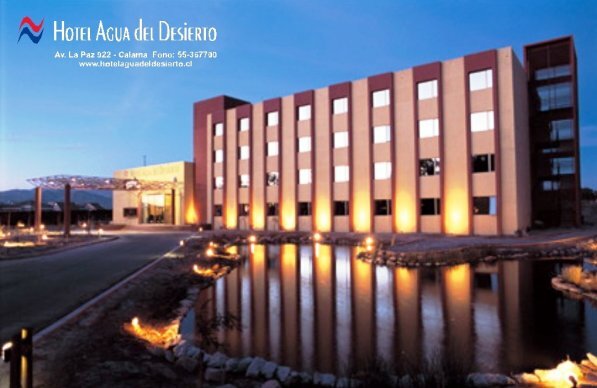 Hotel Agua del Desierto is located at the Calama Oasis in a landscape of 193.750 ft2, surrounded by ancient pepper trees, green areas, a tranquility and quiet environment, 5 minutes from downtown and 10 minutes from the airport. 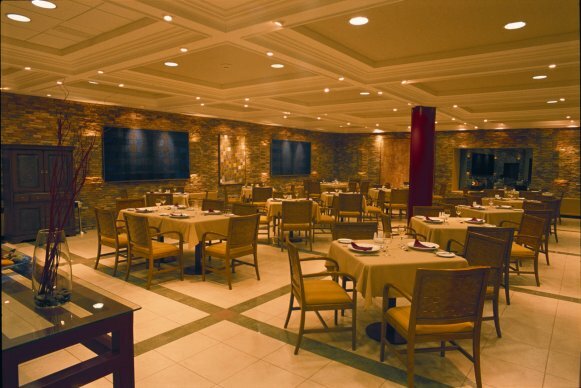 The hotel opens its doors to satisfy the needs of professionals, executives and tourists visiting the zone. 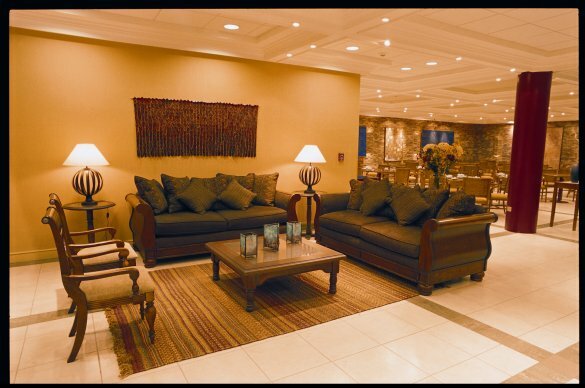 The hotel offers 64 wide rooms, TV cable with a broad view to the Calama Oasis, a great swimming pool, restaurant, bar, parking, 3 meeting rooms for 30 people, an equipped business center with modern computers and free access to internet Wi-Fi. The hotel staff gives a kind, friendly and efficient service which gives a high quality and warmth ambience in the middle of the Atacama Desert.